COZUMEL, Q. Roo.- Of the 33 cruises scheduled for the first week of cruises in December, 13 are planned to dock at the international terminal “Puerta Maya”, owned and operated by the Carnival Cruise Line. Another 10 will do the same at the pier “Punta Langosta” and a similar amount arrives at SSA Mexico. The estimated figure is more than 100 thousand tourists, this based on the information provided by Sandra Aguilar Herrera, assistant representative of the API in Cozumel. 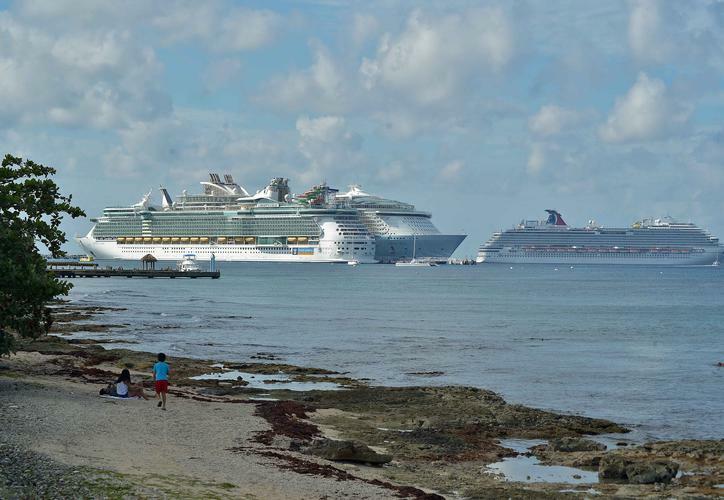 The Florida-Caribbean Cruise Association (FCCA) affirms that the per capita expense of passengers during their visit to Cozumel is 170 US dollars, which in theory would mean an economic income of 18.2 million US dollars. The three best dates of this period are December 7 with 26,657 visitors (24.88%), Dec. 5 with an estimate of 18,855 (17.60%) and Dec. 8 with 17,224 (16.08%) .